I would like to thank Dascha & Miss Luxurylavishlife for both nominating me for the Liebster Award! I've been nominated twice, thank you so much! Since both nominations seem to be different I'm going to combine them. Instead of blogging 11 facts about me, I'm going to answer the 11 questions Dascha came up with. Lancôme, Yves Rocher, Yves Saint Laurent, Hermès and MAC. I've mixed fashion and beauty brands, but these are definitely my 5 favourite brands at the moment. I've always been a blog reader and a beauty fanatic. People always come to me for advice. I know all those little beauty secrets no one else knows. At a certain point I thought: I want to do that too! I want to share what I know! In the beginning it was a combination of sharing and expressing myself. Lately it's been more about sharing (beauty) and less expressing myself, but there might be a switch in the future. My environment is the most important inspiration. Furthermore I get inspired by other bloggers, YouTube videos or pictures I see on the internet. I had to think quite a while about my blog name, but all of a sudden it popped into my head. I wanted to stay close to me. I'm petite. My name is Sal. 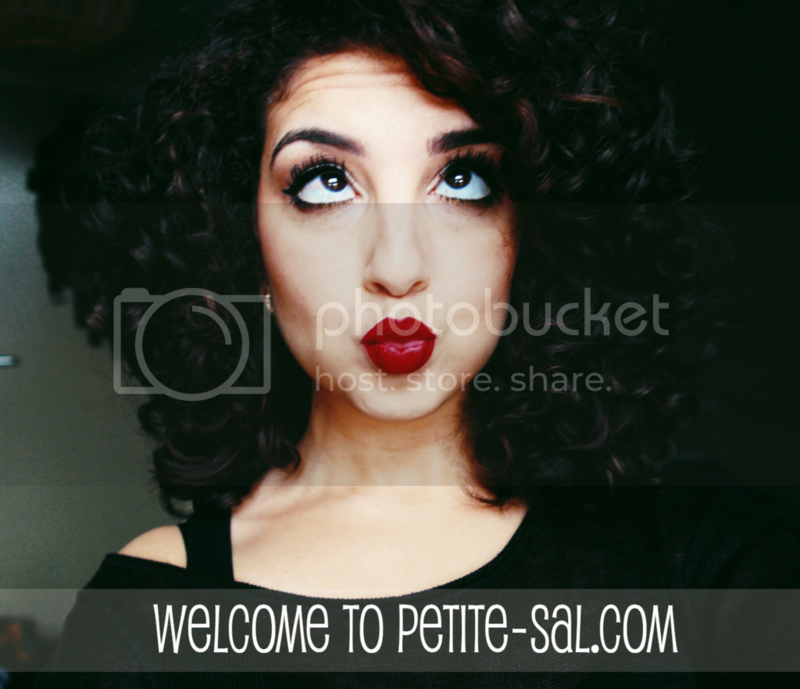 I googled it and it wasn't used by anyone else; PetiteSal was born! I have so many, I really can't pick! I mainly love (beauty) blogs that have a personal touch. I like to eat, go to the movies, lay in bed all day, play with makeup, read books, watch documentaries, eat, take long walks (on the beach), think about things, listen to music, write, and did I mention that I like to eat? At the moment it's Morocco, but I would love to see the rest of the world, so I can add more places to this list. I'd love to do the marketing communication of a big brand someday, such as Hermès or Lancôme.. If only.. I do! No one else wants to take photos of me, so I have to do it all by myself. Shrimp noodles or a chicken sandwich. I've done the tag a bit differently by combining two tags, but here are the rules. The Liebster award is nominated to up-and-coming blogs with less than 200 followers. Hi Sal! I enjoyed reading your answers to this tag :) Congratulations on getting nominated twice for this award. I would love to visit Morocco one day! It looks like such a beautiful country. It seems we have quite a bit in common too - I like to do all the things that you listed as your hobby :) Shrimp noodles or a chicken sandwich sounds so good! Thanks doll!! You're too sweet. I loved reading your answers. Hey congrats on the award...iv just been doing the very same post.....took me forever to do lol!! cool interview! i are such a lovely and fun person! congrats on the award! i love getting to know my fellow bloggers better. congrats to the nominees, too!